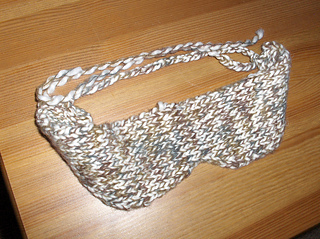 Knit a sleep mask using ball ends or a single skein you have in your stash. 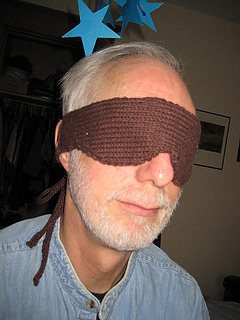 This mask benefits from a good blocking so that the fabric doesn’t roll while your wearing it. 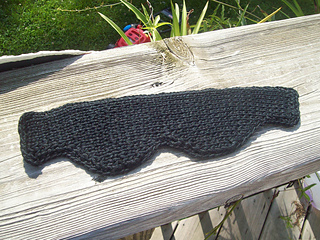 Some people have also knit it in garter stitch, which seems to work well.